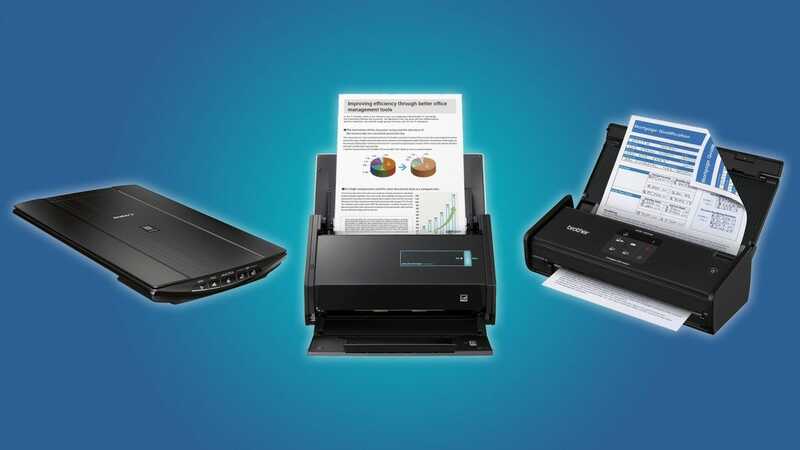 What would the document scanner of your dreams do? Maybe it’s really small, maybe it auto-rotates your documents, or maybe it scans a stack of papers at light-speed. Whatever you dream of, we’ve got a little something for everybody here. Are you trying to digitize 10 years of financial paperwork, or a stack of handwritten stories? Do you need to scan business cards, photos, receipts, or other awkwardly shaped papers? Not all scanners are created equal, and only a few are a jack of all trades. Whether you need to scan some receipts or digitize your overstuffed filing cabinets, you’ll need a dedicated document scanner to do the job right. That’s why we’ve gathered up the top scanners for every home and small office need. If you need to digitize an impossible mountain of documents, then the Fujitsu ScanSnap iX500 may be your only hope. This thing’s the workhorse of desktop scanners. It can scan and digitally organize up to 25 double-sided pages per minute (that’s 1,500 pages in an hour). Thankfully, you won’t have to manually crop and rotate the thousands of pages that you’ll scan, because the Fujitsu can auto-rotate, auto-crop, and balance every page that it digitizes. The Fujitsu can automatically turn a stack of papers into a multi-page, high-resolution (600 dpi) PDF. It can also organize a stack of scanned receipts, legal papers, or photographs. If you need your documents on the cloud, then you can set the Fujitsu to sync with Dropbox, Google Drive, and Evernote. Although the Fujitsu is perfect for scanning piles of documents and receipts, it’s not great for scanning books, magazines, and art. Unless you’re trying to plow through your bloated file cabinets or working with a lot of paper documents, you’ll want to check out the other options here. The SnapScan is the best at what it does, but its repertoire is narrow. If you need a versatile document scanner that has the speed of the Fujitsu, then you should take a peek at the Xerox DocuMate 3220. It can scan both sides of a page simultaneously, it can handle 15 pages a minute, and it doubles as a flatbed scanner. It’s a great option for people who need to scan a variety of formats, like business cards, sticky notes, photographs, and plastic ID or credit cards. This scanner is pretty bare bones when compared with the Fujitsu. 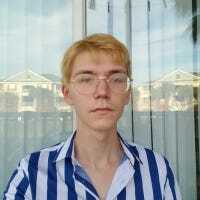 The Xerox DocuMate 3220 doesn’t feature any robust auto-crop or auto-rotate software, it can’t upload documents directly to the cloud, and it can’t connect to your computer via Wi-Fi. It’s also not the best scanner for high-quality photographs or drawings, as it only has a resolution of 300 dpi. 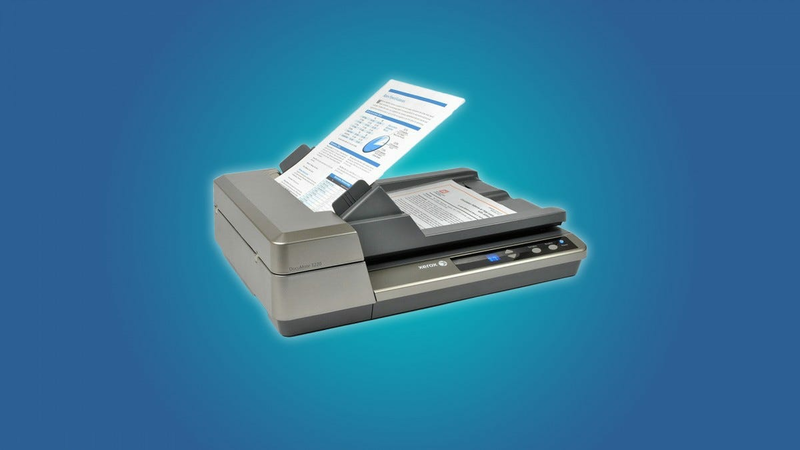 Although the Xerox DocuMate 3220 is an efficient and flexible scanner for most office environments, it may fall short for people who want cloud connectivity, robust scanning software, or high-resolution images. One of the most frustrating things about paper documents is that they take up space. So why should you sacrifice a ton of your desk real estate for a document scanner? The Brother ADS1000W Compact Scanner is a tiny, efficient alternative to a bulky desktop scanner. It can process up to 16 pages a minute, and it simultaneously scans both sides of a document. 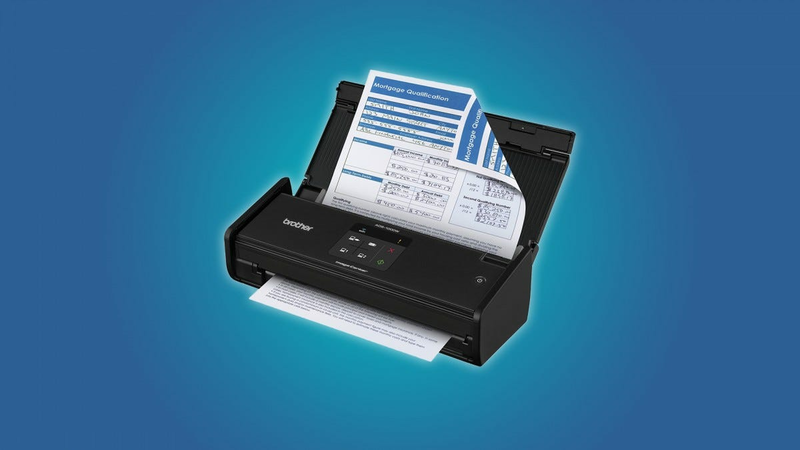 Unlike the Xerox DocuMate 3220, the Brother ADS1000W has Wi-Fi connectivity, and it features software that can auto-rotate, crop, and balance your scanned documents. 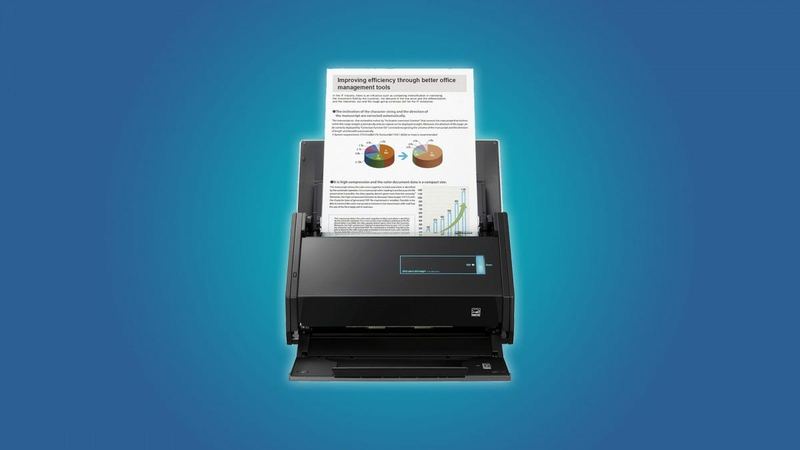 It scans at a resolution of 600 dpi, so all of your documents will look super sharp. The Brother ADS1000W is a compelling piece of scanning hardware, but it’s not great for everybody. This thing won’t play nice with your receipts or business cards, and it doesn’t have a flatbed scanner for delicate photos and papers. Really, you should only consider the Brother ADS1000W if you specifically need to scan standard sized documents without giving up a ton of desk space. The Canoscan LiDE220 is a flatbed scanner, which means that it works slowly and gives you some high-quality images. 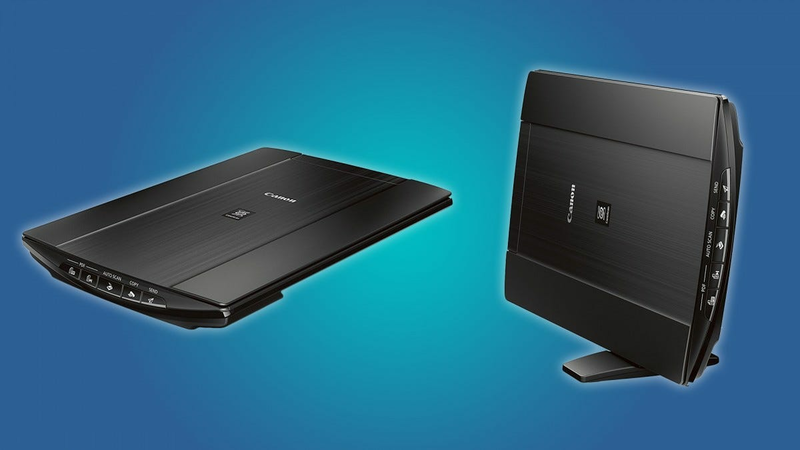 This is the go-to scanner for high-resolution scans of documents, books, or pictures. You could even scan your face like a bored law clerk. Just make sure that you look nice before scanning your face because the Canoscan produces images with at a maximum (and massive) resolution of 4800 dpi. The Canoscan takes at least 10 seconds to make a scan, and it can only scan one side of a paper at a time, so don’t buy this thing if you’re trying to get through a mountain of receipts. In fact, you shouldn’t even bother with a flatbed scanner unless you specifically need digital scans in an extremely high resolution (or you scan so infrequently it makes sense to go with a labor-intensive but budget-friendly option). This would be a great scanner for graphic designers, archivists, or educators. 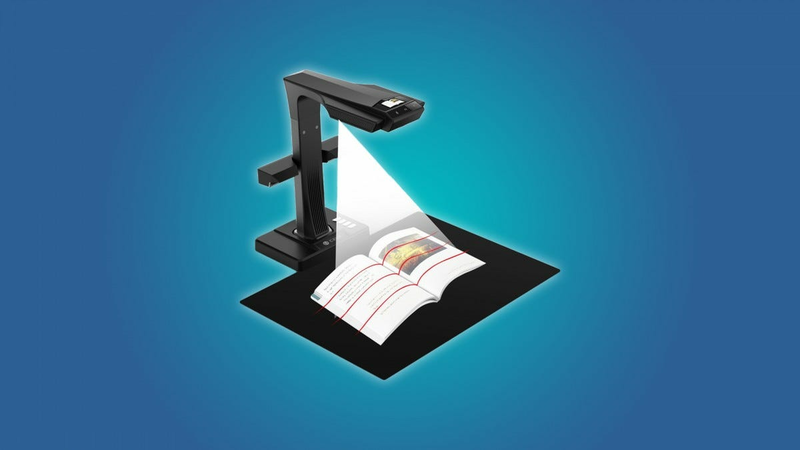 The CZUR ET16 Book and Document Scanner is the most atypical and niche document scanner that you’ll ever come across. Have you ever xeroxed a library book so that you could keep it forever? You know how it really doesn’t work that well? If you had used a CZUR, then it would have worked perfectly. Let’s say that you wanted to digitize a textbook with the CZUR. All that you’d have to do is place the book in the scanner’s line of fire, and turn the book’s pages as they’re scanned. This sounds tedious, but the CZUR can scan a page in 1.5 seconds (it can read a lot quicker than I can), and it automatically organizes and edits scanned material into multi-page files. It can even edit your fingers out of any shot that it takes. Since the CZUR has a resolution of 4608 x 3456, it’s great for anyone who wants high-quality digital reproductions of books and documents. It can connect to your computer via USB or Wi-Fi, and there’s actually a dedicated CZUR cloud app that comes with 10GB of free storage. Obviously, the CZUR is the odd duck of the document scanner family. You can’t feed a stack of papers into the CZUR, it’s not the best companion for personal finance, and it takes up a ton of desk space. But it’s worth looking into if you’re an archivist, book enthusiast, artist, or educator.